BREVO (Business Reporting Engine for Visualization and Overview), is built combining the power of SAP HANA and Google Cloud Platform. It offers the users a simplified pervasive approach to build their own dashboards. The platform uses Predictive Analysis Library, Full-Text Search, Natural Language Processing, Google Sheets API, Google Drive API, and much more to enrich its proprietary smart visualization engine. “We are confident the simplification that BREVO brings will encourage businesses to leverage machine learning and AI to fuel data intelligence alongside traditional reporting,” says Simakurti, an industry veteran who worked for over 10 years as a Director at SAP SE. 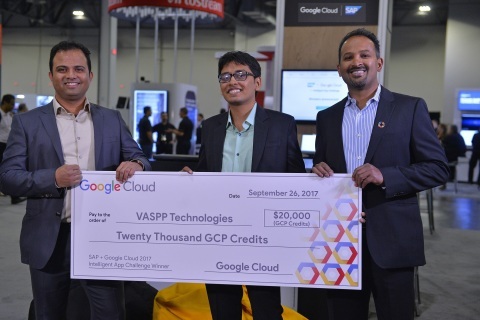 VASPP won the SAP Partner Dev Challenge award earlier in the year for developing an innovative application on SAP Cloud Platform. 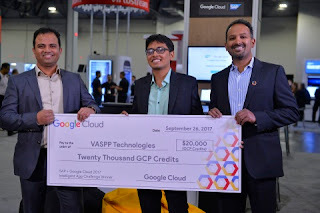 “We are very excited about VASPP’s win at the SAP + Google Cloud challenge because it has put us in the global spotlight. We believe that enterprises will find our platform helpful in solving data challenges in their decision-making process,” said Keshava Aswath, VASPP Vice President North America. VASPP is a pioneer in big data and predictive analytics with a focus on Machine Learning, AI, IIOT, Cloud and Enterprise mobility. VASPP operates globally and has development centers in Germany and India. VASPP’s expertise in SAP, Internet of Things and Big Data Analytics has helped create powerful solutions to solve the IT challenges faced by global enterprises.